PW Ice Hockey is offering a Learn-to-Play Program designed to teach the basic skills needed to play organized ice hockey. These basic skills include skating, stick handling, passing, and shooting. The program will also incorporate some fun small area games into the program to make the experience enjoyable for all of the participants. The program is open to students in Grades K & up who live in the Colonial School District who have limited or no experience with the sport of ice hockey. 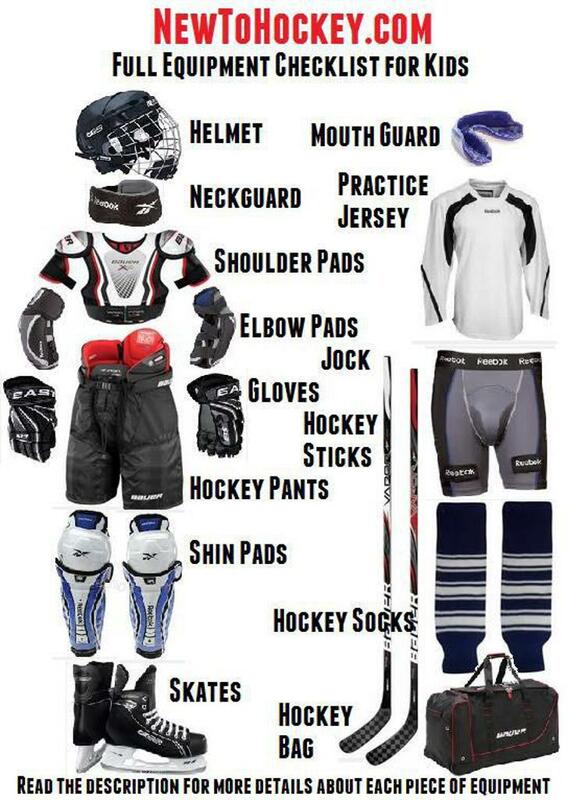 Equipment: Full equipment needed, which includes a helmet with a cage, shoulder pads, elbow pads, a jersey, gloves, shin pads, hockey socks, pants, skates and a stick (limited loaner equipment available upon request). See the image below for equipment examples. Cost: $50 - This includes 5 on ice sessions. Players should arrive at least 30 minutes prior to the start time.